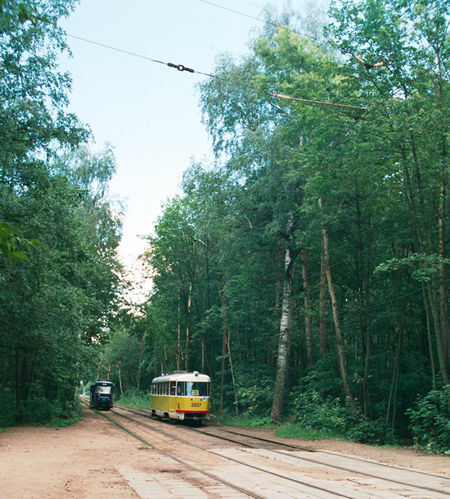 When the tram line along Volokolamskoye Shosse crosses the Ring railway, the next section of the line goes in the middle of a large old forest. This line section has nothing special to mention, but for the forest itself. A downgrade from the railway overpass, and here we enter the forest. 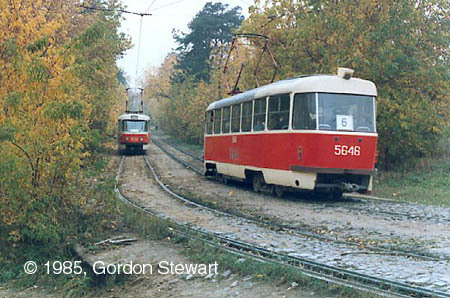 The same place in the middle of 1980's looked almost the same, just brickstones were laid as a pavement between rails instead of currently installed concrete slabs. 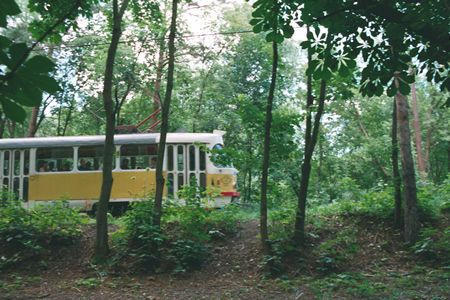 The forest line. Nice, isn't it? An outlook from the Akademik Kurchatov Street. 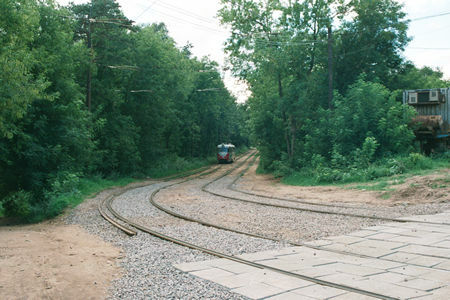 Note that tracks here are not paved with concrete slabs, although it is a usual practice in other parts of Moscow.